When you need the very best in auto repair services for your Nissan, look no further than your home team of ASE-Certified auto mechanics at Quality Automotive and Smog in Truckee. Not all Nissans are created equal, but you can count on Quality Automotive and Smog to not only know the difference but to have what it takes to provide your particular Nissan with just what it needs to keep you moving along the roads (and off-roads) of Truckee. Nissan reflects a lifestyle with their stylish and refined models and driving a Nissan vehicle appeals to a discerning driver seeking something a little different. 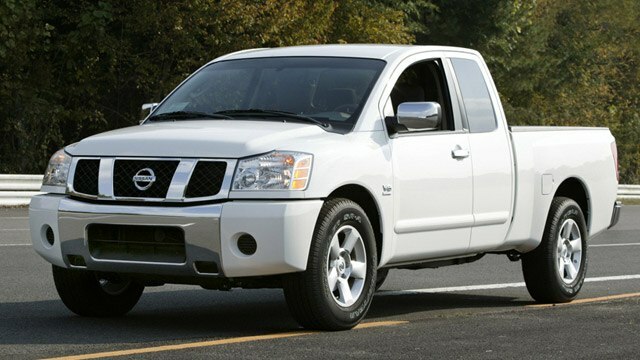 Nissan cars are durable and functional, and that’s exactly what you need here in the mountains. Many features found on Nissans are not found on any other vehicles which can sometimes be a challenge for a repair shop. Not so at Quality Automotive and Smog. Whether it’s a Nissan off-road machine like Pathfinder, Rogue, Armada, or Titan, or a road-cruiser like the Maxima, Altima, Versa, or Leaf, we take pride in providing the very best in service and auto repair for your particular model. Quality Automotive and Smog’s team of ASE Master technicians are ready for your maintenance and repairs so you can travel worry-free. Truckee and North Lake Tahoe locals know Quality Automotive and Smog is the best when it comes to service and repair of brakes, engines, cooling systems, and for all your servicing needs. “Awesome service. Thanks!” -- Rich K.
You will not find a more qualified, honest, and friendly auto repair shop than Quality Automotive and Smog in Truckee. Whether you live in Tahoe City, North Lake Tahoe, Kings Beach, Carnelian Bay, or beyond, we are your home team for all things Nissan auto repair and service. We are loyal to our customers and encourage you to take advantage of our ServicePlus Red Check program that includes an extended warranty, free local towing, seasonal benefits, and a dividend program. We are conveniently located at 11500 Donner Pass Rd, Unit D, Truckee, CA 96161. It’s easy to find us and it is easy to find a good cup of coffee, food, or a new pair of skis/bike nearby while we work on your car. In the summer, you may consider borrowing our electric bike to tour Donner Lake while you wait. Open Monday - Friday from 8:00 AM - 5:00 PM, and closed from noon to 1 PM. Request your appointment online today!